so, last night i went to have my future wife, and baby mamma serenade me with sweet sweet songs, in front of a crowd even. it was a really cute gesture, and i appreciate it more than she'll ever know. if you havent had the chance to hear my loves beautiful sweet voice, you should go pick up her album, i suggest vinyl, it brings out a certain something that i just cant explain. This is like me saying I'm marrying Nicholas Megalis. We are like two peas in a pod sometimes. I guess like father like daughter. So glad you enjoyed your time with your love! aww i was thiiiiiiis close to going to that show with Nicole! i was so sad i missed it! too bad i could have totally helped your situation, she would have loved my dance moves!! she's just have to hop off stage and join, thus, meeting her future hubby!! thanks dude! i love the pixies! 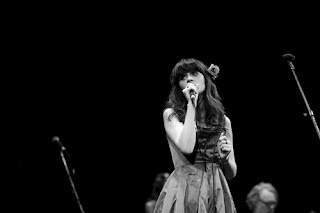 and she and him! i saw her in the bathroom a couple years ago at a concert! before i knew who the heck she was! then she got on stage with m ward and sang LIKE AN ANGEL! Garen! 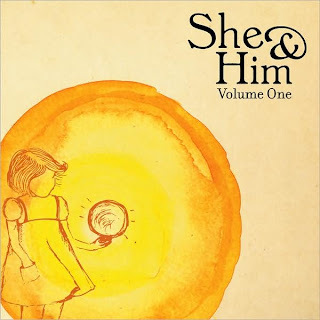 I haven't heard of she and him before but because of this blog i am going to youtube right now. Emly thought you were really dating that chick. So good joke.